Jerry was born in Dale, Indiana, on June 8, 1940, to Leroy "Red" and Mary Mable (Wilkey) Musgrave. He married Eileen Beard on July 27, 1961, in Precious Blood Catholic Church in Jasper, Indiana. He was a 1958 graduate of Dale High School. He retired from Kimball International, where he had worked for 42 years. He then worked at Jasper Park and Recreation for 13 years. 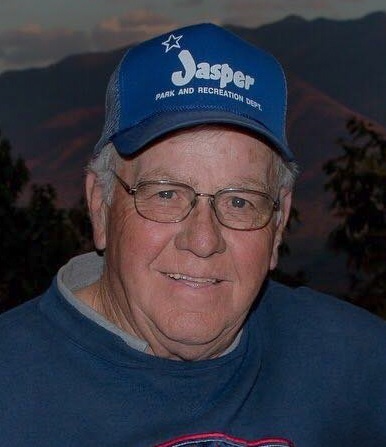 Jerry was a long time member of Jasper Outdoor Rec., where he was an officer for many years. He was also a member of St. Joseph's Catholic Church in Jasper. He was an avid Jasper Wildcat and Indiana Hoosier fan. He enjoyed coffee, scratch off lottery tickets, and socializing with friends at the Marathon. Surviving are his wife, Eileen Musgrave, Jasper, IN, three daughters, Tammy Hoffman, and companion, Kip Weisheit, Terri (Donnie) Sternberg, and Chrissy (Joe) Shelton, all of Jasper, IN, 11 grandchildren, nine great grandchildren, and one sister, Joyce Davis, Indianapolis, IN. Preceding him in death besides his parents, is one brother, Kenneth Musgrave. A funeral service for Jerry L. Musgrave will be held at 7:00 p.m. on Wednesday, April 3, 2019, at the Becher-Kluesner Downtown Chapel in Jasper, Indiana, with private burial to follow in Fairview Cemetery in Jasper. Fr. Ray Brenner will officiate. A visitation will be held from 2:00 p.m. until the 7:00 p.m. service time at the Becher-Kluesner Downtown Chapel on Wednesday. A celebration of life will be held after 3:00 p.m. on June 16, 2019, in the Jasper Outdoor Rec. basement. a meal will follow at 5:00 p.m. In lieu of flowers, donations can be made to the Jasper Outdoor Rec., where Jerry loved spending time. Donations will be used to dedicate a bench in Jerry's honor.